Infrared heat provides direct heat and feels comfortable. This heat is comparable to the natural radiation heat of the sun, processed in infrared panels with stylish and sleek design. Do you have a practical situation where infrared heating does not fit our standard range? We would like to think about solution-oriented with you to create a suitable heating. At HeatFun we find it important that our customers get a warm feel at our infrared heats. Finding a suitable infrared heating can be done simply by searching them in the webshop. 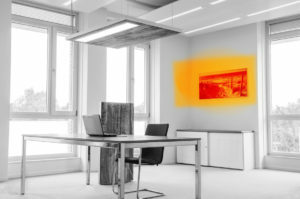 If you would like to experience our infrared heats personally? We can and invite you in our showroom. Our advisors will be happy to give you personal advice. 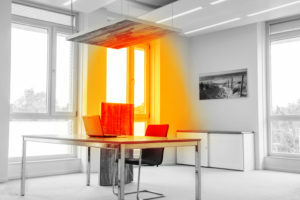 Heats where it is desired.